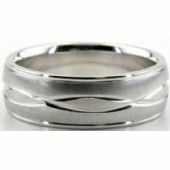 18K Gold 7mm Diamond Cut Wedding Band 621. This satin finished design is greatly admired. 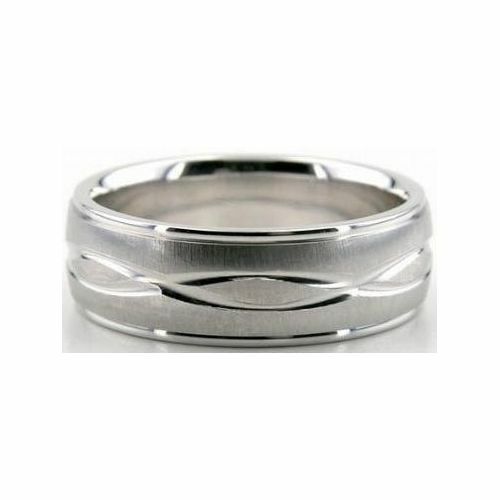 The two bright cuts intersect each other creating wide oval shaped throughout the center. This Gold Diamond Cut ring is 18K and has a high polish on both sides of the 7mm wide band. Our great accomplished craftsmen hand crafted this design in house using only tools to help.